Looking for something more unusual and creative for your hen party? We offer bespoke activity sessions for groups. You’ll have a lovely time learning new skills and creating unique items to take away. 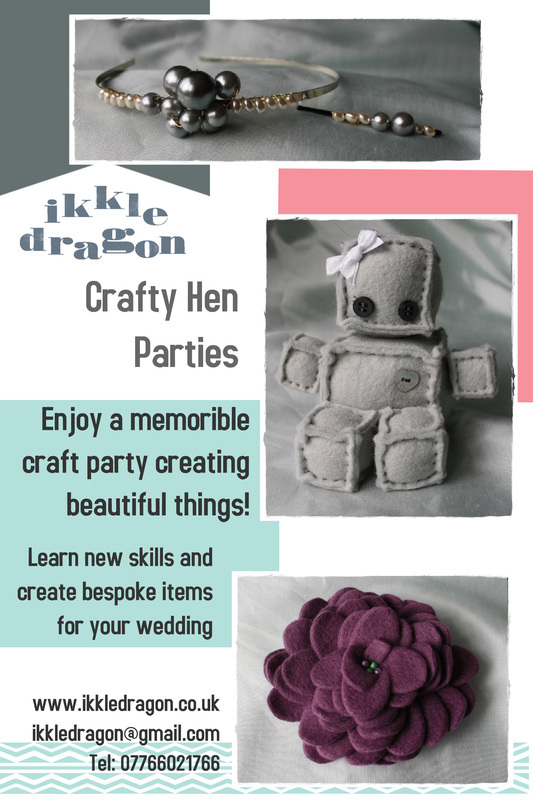 You can choose to make things for your wedding, hen night celebrations, or just something lovely for yourself! funny fancy dress costumes, masks, and much more! All materials, tools and tuition are included. You just need to provide the crafty hens and a venue! Your themes and special requirements are very welcome.